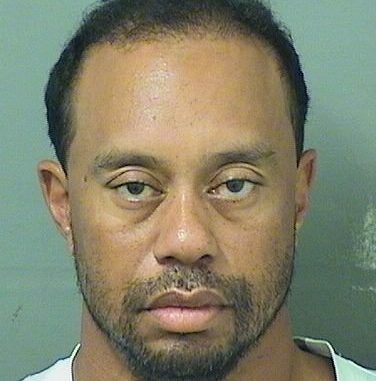 Tiger Woods attributed an “unexpected reaction” to prescription medicine for his arrest on a DUI charge that landed him in a Florida jail Monday for nearly four hours. 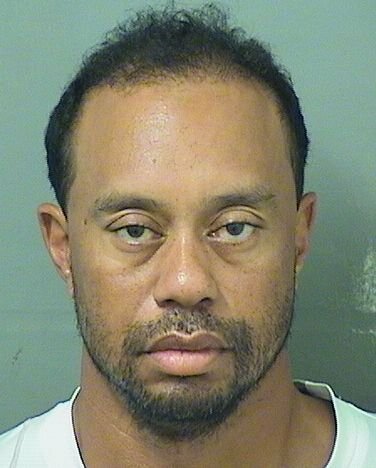 Woods, the 14-time major champion who had back surgery five weeks ago, was arrested on suspicion of DUI at about 3 a.m. Monday and taken to Palm Beach County jail. He was released on his own recognizance. An arrest report might be available on Tuesday, Jupiter Police spokeswoman Kristin Rightler said. WATCH: What Really Happened Between Tiger Woods & Elin Nordegren? “I will do everything in my power to ensure this never happens again,” he said. Woods, whose 79 victories rank No. 2 on the PGA Tour’s career list, has not competed for nearly four months. He is out for the rest of the season while he recovers from fusion surgery performed April 20 in Texas. Police said Woods was arrested on Military Trail, a six-lane road, south of Indian Creek Parkway. Woods did not say in his statement where he had been or what he was doing at that hour. Jail records show that the 41-year-old was booked into jail at 7:18 a.m. and released at 10:50 a.m. The jail released a booking photo of Woods in a white T-shirt. PHOTOS: Life Before The Scandal: Golf’s King Of The Course — Tiger Woods! Rightler, the police spokeswoman, said she did not have details about the circumstances leading to Woods’ arrest, nor did she have any information about whether the arrest involved drugs or alcohol. His agent at Excel Sports, Mark Steinberg, did not respond to a voicemail from The Associated Press seeking comment. PGA Tour spokesman Ty Votaw said the tour would have no comment. Woods said in his statement that he fully cooperated with law enforcement and thanked Jupiter Police and the Palm Beach County Sheriff’s Office for being professional. Notah Begay, a roommate of Woods when they played at Stanford, was empathetic. Begay was arrested for aggravated drunken driving in 2000 when he ran into a car outside a bar in New Mexico. He was sentenced to 364 days in jail, with all but seven days suspended. Woods has not been seen at a golf tournament since he opened with a 77 at the Omega Dubai Desert Classic in February, withdrawing the next day because of back spasms. He was in Los Angeles for the Genesis Open, run by his Tiger Woods Foundation, but he did not come to the course at Riviera because of his back. He was at the Masters, but only to attend the dinner for past champions. Woods, who had been No. 1 longer than any other golfer, has not been a factor since his last victory in August 2013 as he battled through back surgeries from a week before the 2014 Masters until his most recent fusion surgery on his lower back a month ago. It was the first time Woods has run into trouble off the golf course since he plowed his SUV into a tree and a fire hydrant outside his Windermere, Florida, home in the early morning after Thanksgiving in 2009, which led to revelations that he had multiple extramarital affairs. A police report then showed that a Florida trooper who suspected Woods was driving under the influence sought a subpoena for the golfer’s blood test results from the hospital, but prosecutors rejected the petition for insufficient information. A witness, who wasn’t identified in the report, told the trooper he had been drinking alcohol earlier. The same witness also said Woods had been prescribed two drugs, the sleep aid Ambien and the painkiller Vicodin. The report did not say who the witness was but said it was the same person who pulled Woods from the vehicle after the accident. Woods’ wife has told police that she used a golf club to smash the back windows of the Cadillac Escalade to help her husband out. He eventually was cited for careless driving and fined $164. Woods and wife Elin Nordegren divorced in 2010. He later had a relationship with Olympic ski champion Lindsey Vonn that lasted two years.